I’ve previously mentioned my liking for seaweed so I thought I would make my own to go with a martini. 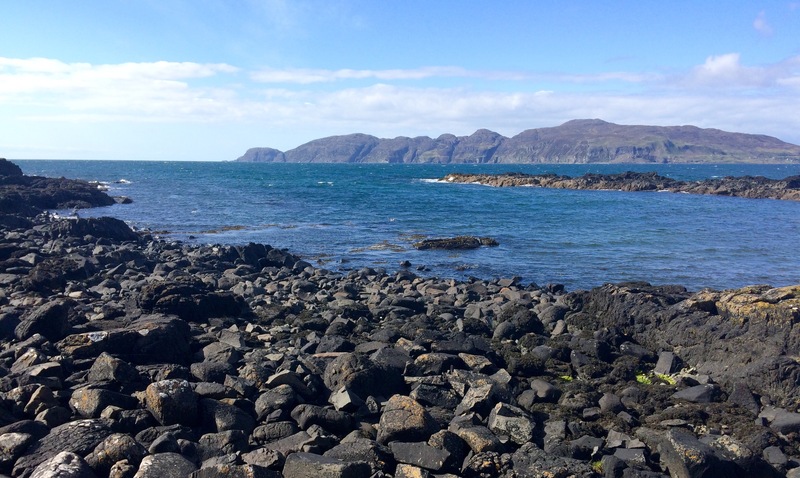 After a fairly long walk on the Isle of Mull, I was looking around the beach for something edible to forage. 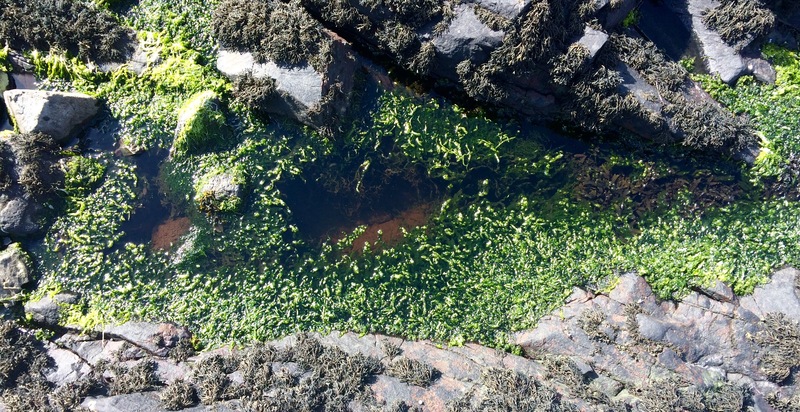 The tide was fairly high but there were several rockpools containing thick gutweed, as above. 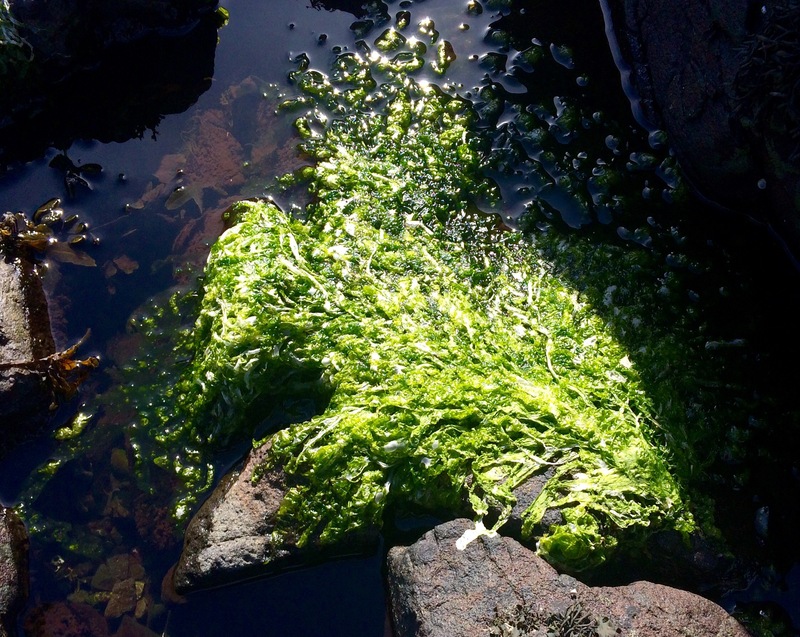 This dark-green, grass-like seaweed lives in upper tidal areas, sometimes in pools, sometimes where streams meet the sea. I harvested a small amount by hand, being careful not to take too much from the same pool. I squeezed them of liquid then put them in a plastic bag and walked home with them. I then rinsed them thoroughly in clean water. I patted it dry, then added about a tablespoon of oil and around a teaspoon of sea salt and mixed it in thoroughly. I roasted it on a high heat for about 30 minutes, stirring it once to prevent it from burning on the top level. I then served it as a messy but tasty and savoury nibble to accompany the evening’s martinis. It tasted like the deep fried seaweed you often get in Chinese restaurants, except that it was actually made from seaweed and was roasted rather than fried. 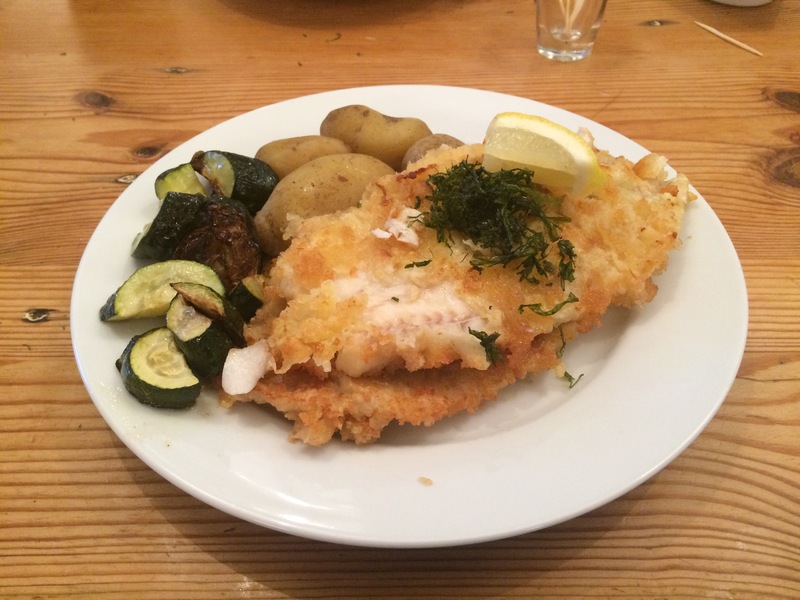 It also makes a good salty-umami condiment for things like mashed potato or other seafood dishes. Once cooked it also keeps for a few days but you might want to dry it out thoroughly to make sure it doesn’t become soggy. I will definitely be making this again but remember to forage responsibly. Don’t take so much that you harm the ecosystem. 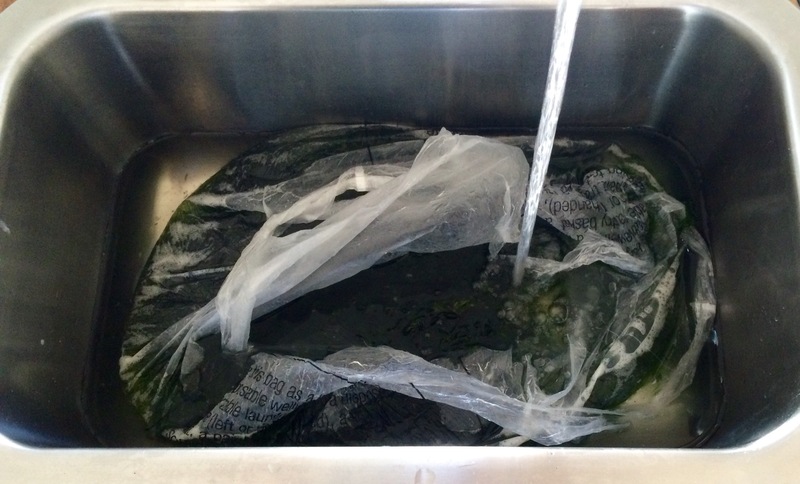 Try to stick to clean coastal waters as well and be sure to rinse the seaweed thoroughly before cooking. Our family is probably not alone in this matter: we adore crisps but recognise that they are evil. 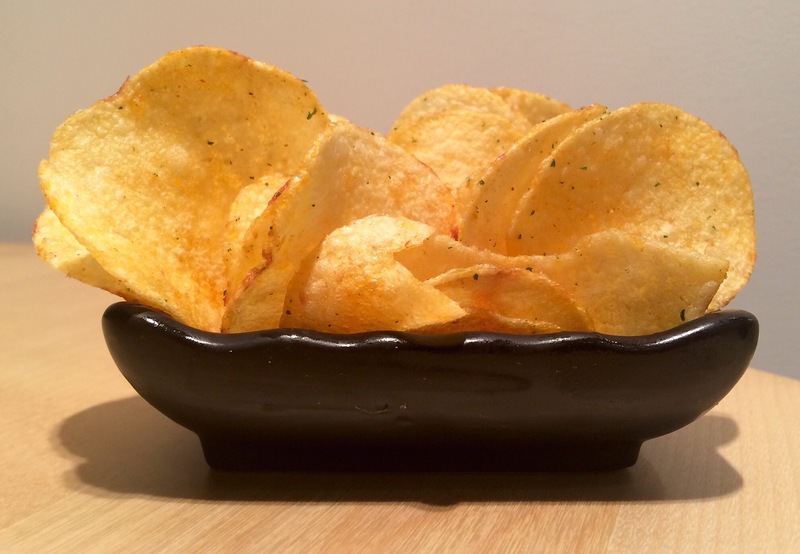 To my American readers – I’m referring to what you call ‘chips’ or ‘potato chips’. I could make some cliche comment about how you have abused our language but your people did invent the martini so I have to pay at least some deference to your culture. Nonetheless, I will continue to refer to these things as crisps in my blog and you cannot stop me. 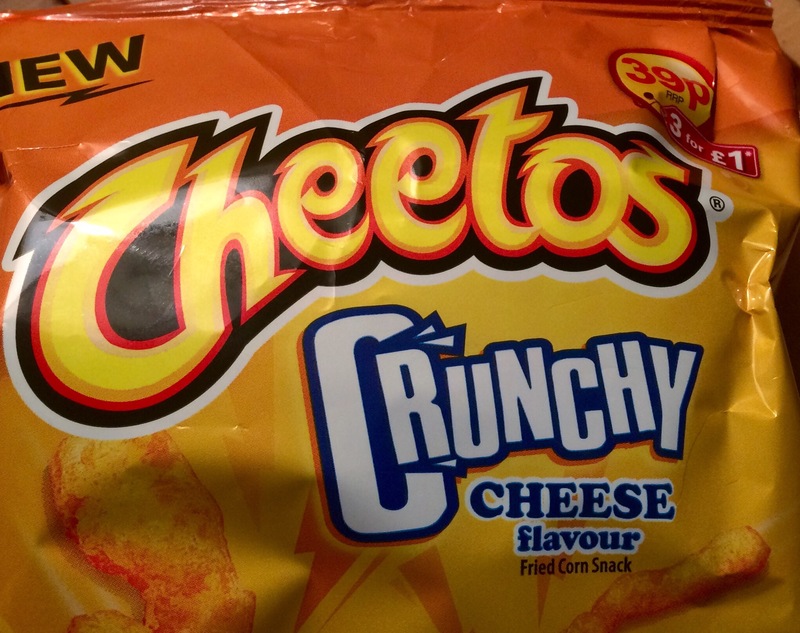 Crunchy, tasty, yet body-bendingly unhealthy, these snacks pose a real threat to your life. They are so convenient to pick up at the shops. They can sit in a cupboard, just waiting for their moment to strike. An impromptu visit from a friend, a much-needed drink at the end of a long day, you find them welcomingly waiting to be tipped into a bowl and devoured. And with all their salt, flavouring and fat, they can taste amazing. But they are so unhealthy. It’s almost always a case of “a moment on the lips, a lifetime on the hips.” They’re not exactly the sort of thing you would chuck in a smoothie. So I’ve been looking for things to replace crisps as a martini accompaniment. Martinis themselves aren’t exactly an elixir of healthy living either but at least by cutting out the crisps you can minimise the comprehensive damage you could otherwise be doing to your body. My brother, who is a body-builder and very good at nutrition (most of the time), brought back these snacks from the mainland. Actually made in South Korea, they are originally a Japanese style of snack made from Nori seaweed. 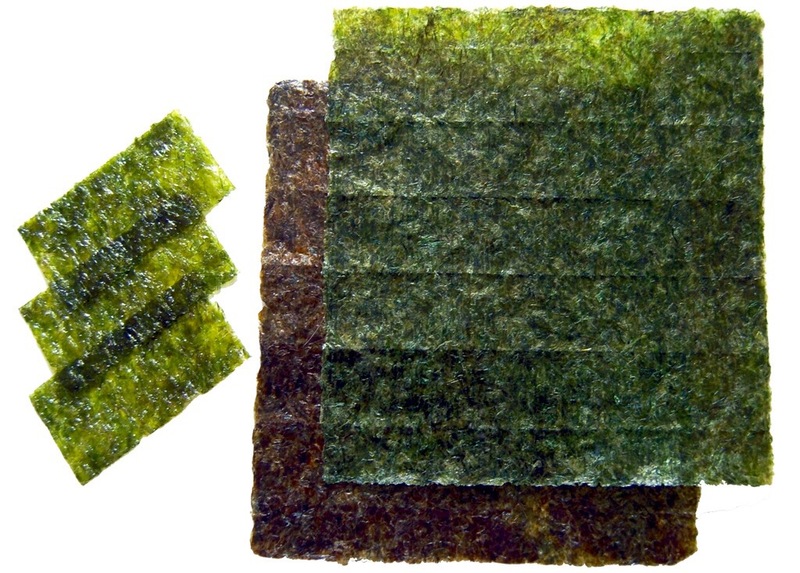 Nori is specifically a type of algae, harvested, shredded, flattened and dried in a preparation technique reminiscent of papyrus but more closely based on Japanese paper production. It is familiar to most people who have eaten sushi as it is used to wrap maki rolls among other things. 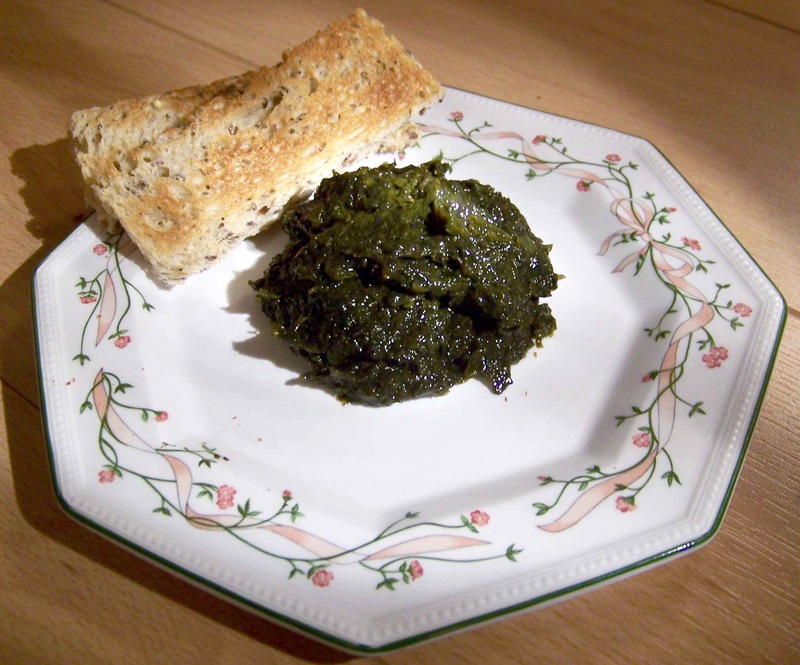 It is also similar to a well-known (and highly tasty) dish in Wales – laver. 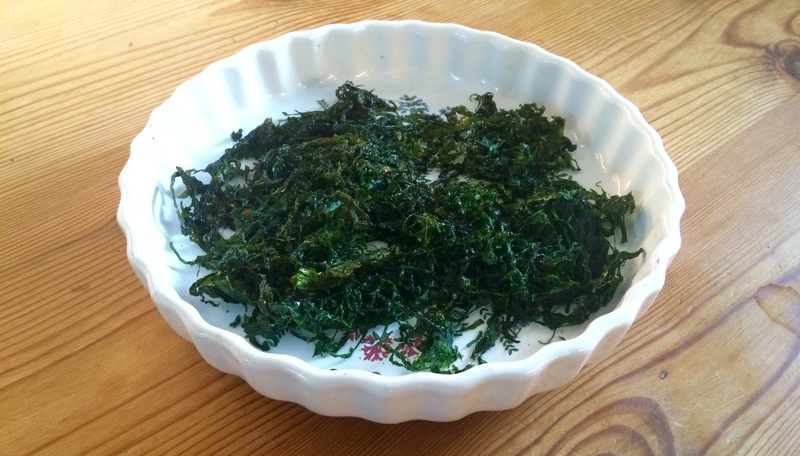 Indeed while seaweed today is usually regarded as a health food from Asia, it actually formed a very traditional part of coastal British diets for centuries. 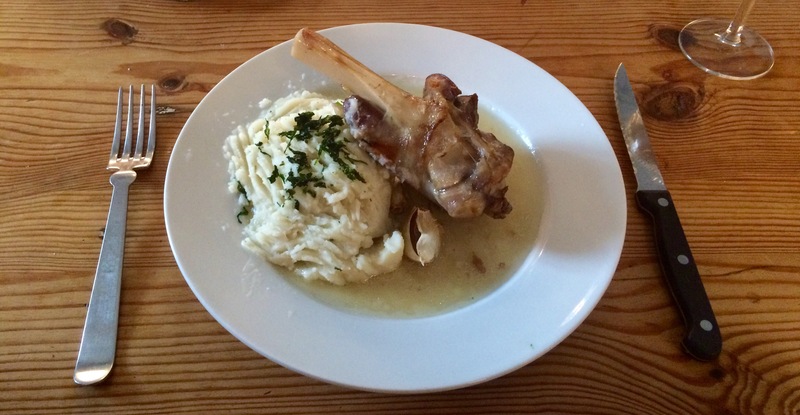 The Welsh have defended its value as a tasty source of nutrition over the years. I am writing this at home in the Hebrides where seaweed was once seen as a staple, especially during times of hardship and poor harvest on the land. As a crop, it is available all year round – so long as you are able to withstand the temperature of the sea. Luckily it is making a bit of a comeback. Hebrideans are once again turning to our rich, clean waters for sustenance. It still isn’t common but it’s not unknown. 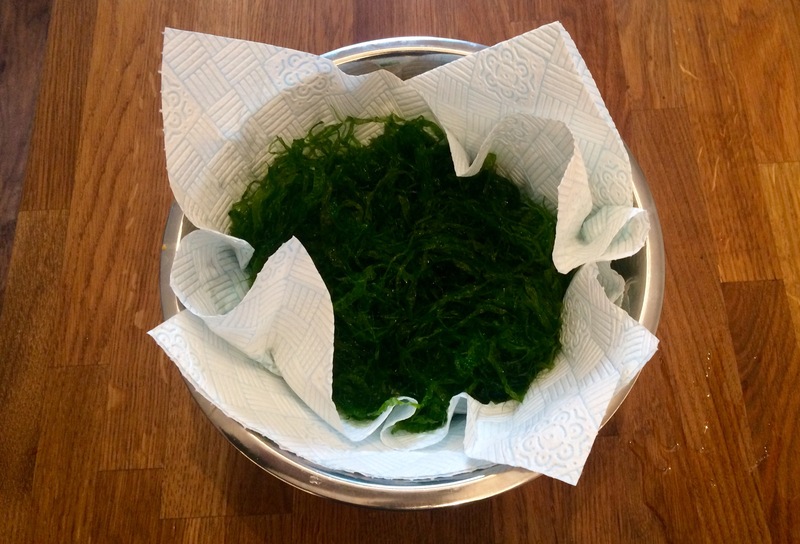 The Ninth Wave restaurant serves its own seaweed, often as a condiment, harvested from the cold, clean waters of the Isle of Mull. You can also buy Hebridean seaweed online. The Isle of Harris even makes gin with it. Please excuse me while I shed a tear of pure joy. Returning specifically to the history of Nori, I was struck by a fascinating story, involving a remarkable and surprising northern English lady who defied sexism in science and cross-cultural barriers to change the Japanese seaweed industry and our understanding of the food today. 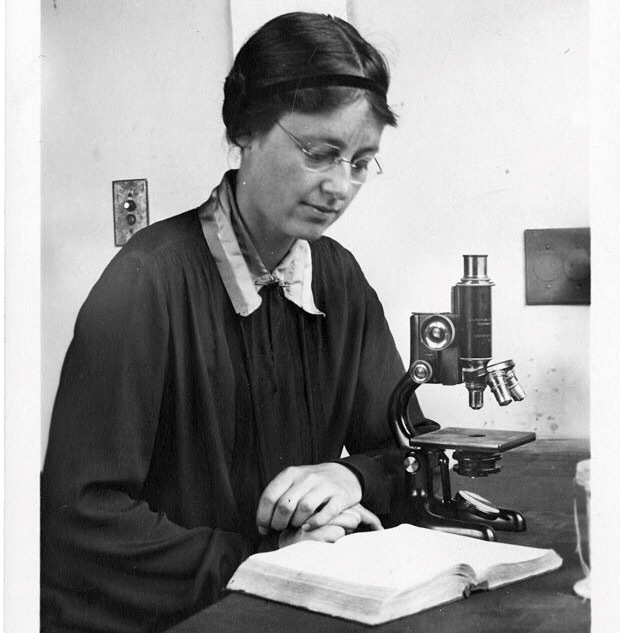 Seaweed yields were falling in post-war Japan when Lancashire scientist Kathleen Mary Drew-Baker stepped in to provide her research on the lifecycle of algae. Armed with this knowledge, Japanese harvesters optimised their techniques to maximise the production process and the industry flourished. Every year on the 14th of April a ceremony is dedicated to Dr. Drew-Baker in Osaka. She is referred to as The Mother of the Sea in recognition of her work for the seaweed industry. 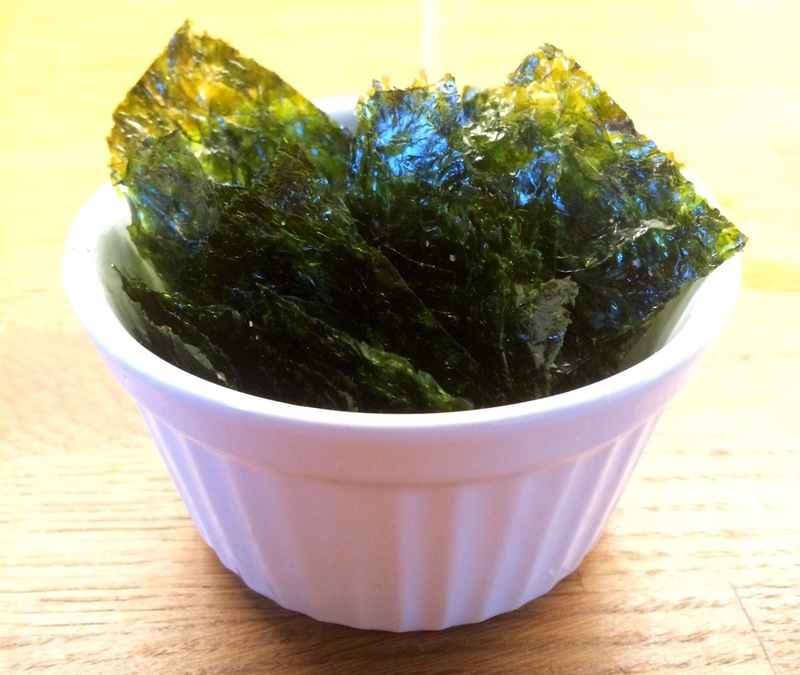 I served some of the nori sheets as a simple snack. They were slightly large so I lay the slices on top of each other and used scissors to cut them into four pieces so they would fit into my mouth easily. They also make an interesting, if slightly flamboyant garnish. 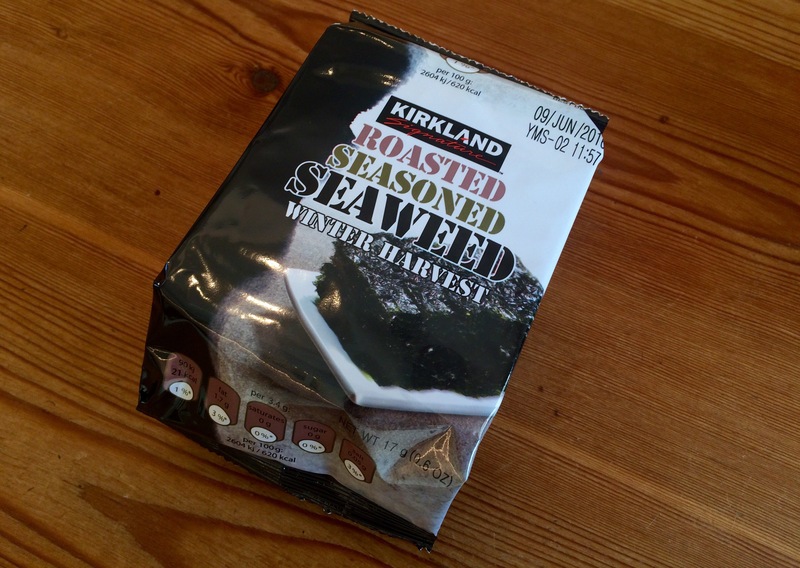 With salt and sesame oil they were very more-ish and made a nice accompaniment snack. Their slight fishy taste might not appeal to everyone but I am a committed fan of seafood and think it compliments a martini very well. However, these nori sheets in particular have quite a high fat content so they might not be a million miles better than crisps after all. It might be worth using ordinary sushi nori sheets instead. Cut one or two into bite sized pieces before serving. Nonetheless, I like these little bites and will be nibbling on them again.